← Take a free CAPM Practice Test today! Are you ready? One of the largest events of our time, the 2012 Summer Olympics, has recently wrapped up in London. As one might expect, many years of planning, coordinating, political maneuvering, and executing went into the project. From TV broadcasts and streams to hundreds of millions of people around the world, to the on-site logistics, many heads (often wearing multiple hats) were utilized to their fullest. And an accomplishment it was! Let your project’s historical information, meeting minutes, and other important documentation be stored in a secure (and dry) spot. International Olympic Committee’s success lies in creating and maintaining detailed records of not just the current but past Olympics, namely, every achievement, key activities, events, and processes to ensure that the knowledge from across all the Olympics is shared and available for future producers and organizers. The process of maintaining such information is known as archiving. 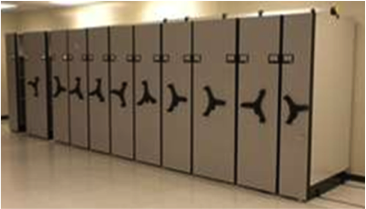 Who benefits most from appropriate archiving? That’s right – it’s not just the producers of the next Olympic Games, but the fans, the participating countries, the media, and the athletes themselves. During closing, Project Managers turn around and return the favor by adding the appropriate current project data to the historical data so that it is available to all. This is the knowledge transfer that enriches the project manager, the performing organization, the project community, and the stakeholders at large. Traditional project management best practices tell us that establishing an archiving system early on in a project is vital. Whether a project takes place in a month and utilizes a small team, or it runs over the course of a few years and involves hundreds of people, proper archiving expectations should be established early. Further, closing a project successfully should enable the sponsoring organization, as well as key stakeholders and the project team members, to benefit from the most valuable lessons from the project and have appropriate access to the artifacts. As a team, agree upon naming conventions for project artifacts, the significance of version and revision numbers, and a method for defining and getting agreement on changes to the original artifacts. Make sure there is an agreed procedural flow for incorporating and accepting changes. What project artifacts will be archived? How will these artifacts be organized and archived? Who will be responsible for archiving? Who will be the recipient of the archive? Is it the PMO? The client? Or the business unit? When will items be added to the archive and how often will these items be reviewed and verified? What will be the related cost for maintaining this archive? Once your project is in execution mode, at each milestone the assigned team member implements the archiving plan as previously defined. 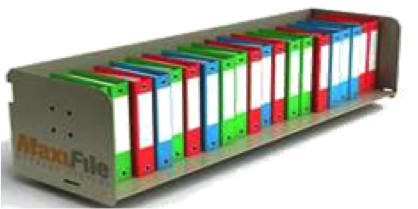 During status reporting, a project manager may provide an update of the archiving activities. During closing, the project manager ensures completion of the archiving plan. A valuable addition to the archive is the documentation containing lessons learned and suggestions for future products, processes and procedures. The success of the archiving process is the ceremonial handoff of the physical archive to the recipient of the archive. Keep your project information safe and secure! The recipient of project archives has a commitment to future project managers, which is to provide the historic data of past projects. Of course they must consider the legal aspects when providing access to this data. Further, the indexing of project data and managing the relevance of this data becomes a key responsibility for the recipient of this data. As much as archiving is about storing, it is also about final disposal. It is important to implement the appropriate disposal method, be it recycling, shredding, burning, or erasing (or placing the artifacts in a time capsule!) Successful organizations make business intelligence a priority and it all starts with the archiving process! Thus, following these steps will help your project be remembered as a success – and it might even land repeat business for you or your performing organization! And now, we extend hopeful wishes to the teams already hard at work in planning the 2014 Winter Olympics in Sochi, Russia. Project Managers – Are you aware that using archiving systematically can dramatically increase your chances of success on aggressive deadlines? Considering archiving but would like to learn more? Need to improve your archiving process knowledge? Contact us at info@medhira.com to learn more. This entry was posted in Uncategorized and tagged 2012 Summer Olympics, 2014 Winter Olympics, archiving, CAPM, data storage, Olympics, PMI, PMO, PMP, project manager, projects, Russia, saving, Sochi Russia, storage. Bookmark the permalink.